Visit My Smokies, the leading Smoky Mountain vacation planning guide, announced that the Gatlinburg trolley system will soon be offering several routes that take guests all around the city of Gatlinburg at no cost. Throughout the summer, the Gatlinburg trolley system will offer several routes at no cost to riders. 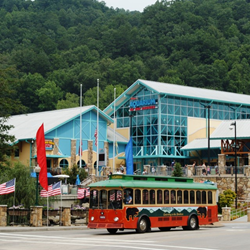 We are really excited to see the Gatlinburg trolley helping families not only explore the beauty of the area, but also save money while they are here by offering free rides. Vacations are nice, but nothing beats taking a vacation and saving money at the same time. On May 20, Visit My Smokies, the leading Smoky Mountain vacation planning guide, announced that the Gatlinburg trolley system will soon be offering several routes that take guests all around the city of Gatlinburg at no cost. The routes include popular destinations like the Historic Nature Trail, Ski Mountain Road, the Gatlinburg Arts & Crafts Community and more. The dates for the free Gatlinburg trolley rides will be June 13-August 17. Summer trolley hours are 8 a.m.-midnight, seven days a week. In addition to lowering the cost, trolley officials have also announced that they will be expanding the number of stops along the routes to help accommodate passengers. For vacationers headed to the area before June 13, the Gatlinburg trolley is offering unlimited rides on five of the six routes for as low as $2 per day. For more ways to save money while on vacation in the Smoky Mountains, Visit My Smokies encourages visitors to check out the Coupons page on their website. There, families and guests will find a variety of money-saving deals and specials on tons of exciting Pigeon Forge and Gatlinburg attractions. 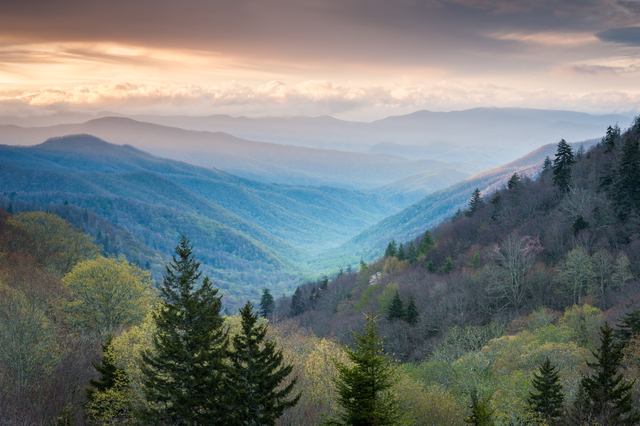 Established in 2009, Visit My Smokies is the premier Great Smoky Mountain destination lodging website. The program is owned by Sevier County, Tenn., and developed to build revenue, through the promotion of travel and tourism, in relation to Gatlinburg, Pigeon Forge and Sevierville area lodging, attractions, dining and shopping. All offices are located at: 125 Court Ave., Suite 102 E, Sevierville, TN 37862. The entrance to the Great Smoky Mountains National Park is just one of the many thrilling stops along the Gatlinburg trolley routes.